4 simple ways to deal with time trouble! Recently, I have received a couple e-mails from my students who are having a hard time dealing with time trouble. And if you are one of those chess players who experiences problems with this dilemma often, then you are in for a treat. Right here, I will lay down certain tips and tricks that will help you combat this over-the-board (OTB) problem. Very often, we see the following situation: a player plays a good game, gets an advantage, but then appears in a time trouble! Under the time pressure, he makes an annoying mistake and even loses in the end! Such a situation is certainly frustrating. And the recommendations I’m about to give will help set yourself free from the chains of the time trouble. In most cases, a chess player THINKS only during the first few minutes after the opponent makes his move. After that, he starts to check the SAME variations again and again. Not contented, he starts to worry about the consequences, and try to find 100% ideal move, and the cycle goes on and on. Guess what? This cycle doesn’t help at all! This only creates chaos in his head and totally mixes things up. 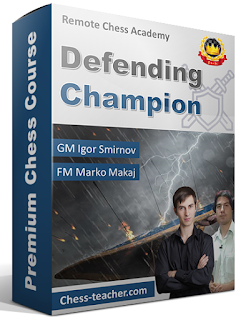 Finally, after going through the same variations, worrying about the consequences, and vainly searching for the perfect move, he does something ridiculous… and you should know what happens next. Do NOT calculate 1 variation 2 times: You may not be the BEST calculator around but when you sit at the board, you only have yourself to trust. 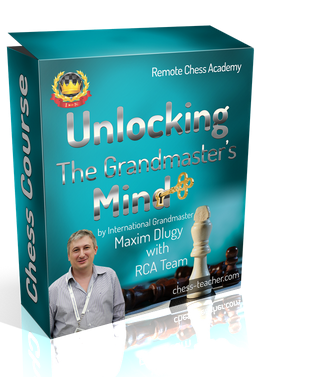 you may like to read our article “10 ways to improve in chess”. Look, even a computer – whether it’s Rybka, Fritz, or even that supercomputer Hydra, CANNOT calculate all of the lines until the end and come to a 100 percent correct conclusion. Having said that, we may conclude that trying to judge the outcome of the game for MANY moves ahead is a wasted effort. Oftentimes, you will find yourself in a situation where you have 2 or 3 logical moves and there’s no way you can calculate the lines until the end or come to a certain conclusion. Use your intuition! This means you should choose a move, which came to your mind FIRST (which seemed good for you at first sight on a position) and then do only the needed calculation to verify that the move is tactically good. This is a very powerful advice! Check it in your practice, and you’ll see that it works great! Most often, a game is decided by a mistake of one player (NOT by a brilliant play of his opponent). Thus, it’s more important to avoid mistakes, than to find 100% perfect moves all the time. Don’t be too harsh on yourself. Don’t try to make 100% correct moves all the time. NORMAL move is good enough in most cases. Even the greatest players like Karpov follow this advice! The former World Champion, when faced with a branching point in one of his games, go for the sound, normal, and generally good move… the one that requires the least amount of calculation. He didn’t win ALL of his games, BUT he won MOST of them. Heck! He is a former World Champion. You’d do great by following his footsteps. Before getting into the fourth advise, let me tell you one little story. Recently I got a message from a chess player, a close follower of my blog to be precise. He explained his chess problems, and one of them was constant time trouble. 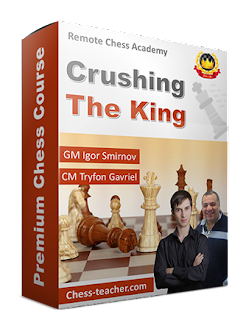 I recommended one of my chess courses, which contains the answers to most of his questions. I could not hold the smile and laugh a bit. It’s not surprising that he has a time trouble in chess, isn’t it? He thought about one simple decision during more than a month!!! So the fourth advice is…. 4) Decide and act quickly! If you have time troubles in chess, then you probably have problems when it comes to making decisions in life. Procrastination is a habit you want to get rid of. I know many people who spent tons of time to decide which of my courses to order. Meanwhile, they lost the most important thing – TIME. It was much better to make ANY decision, but to make it quickly and to start going forward. ANY decision moves you forward! If your decision was wrong, then you will know that this thing does not work. You learn something from it, and it’s going to be useful in the future. Then you will start finding another solution and you will always keep going forward! On the other hand, the one who doesn’t make a decision (or postpone it) will be stuck on his current place. He’ll have no progress whatsoever! That person who goes forward (who makes a decision and learns from it), will easily outrun him! Another example: some people wait several months to get my course with a discount. Again, they will save a few bucks, but lose TIME. I strongly advice that you make decisions, and make them quickly! ANY decision is better than nothing! For example, if you think that my lessons don’t help you – reject them completely. Unsubscribe from my mailing list and start searching for something else. If you think that my lessons are useful – then what are you waiting for?! 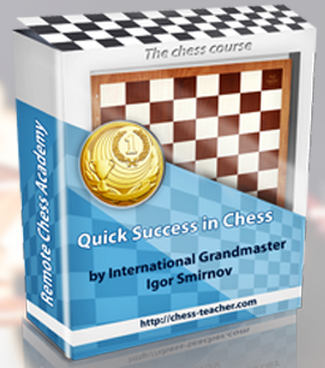 Order the complete chess courses and start studying them NOW! 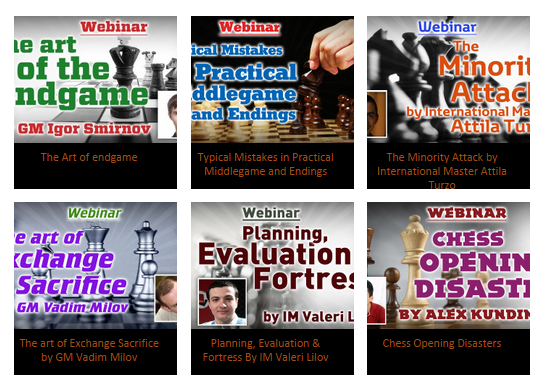 If you only read these blog-posts, you still get something useful, BUT it’s very little compared to what my complete chess courses offer. Of course, I keep the better and BIGGER stuff in my complete courses. Make a decision! Thus, a loss of time shortens your life. A loss of time is a little suicide. So make decisions. And make them quickly! In most cases you should NOT spend more than 3 minutes on 1 move. You may need to spend more time on crucial and highly tactical positions, but 3 minutes is the average for every move.